Many different automakers are working to create their own sub-brand for a variety of reasons. Most of what we’ve seen so far is brand that want to create a performance arm that can be the right choice for those who want more power and active driving on the roads and tracks. Buick has taken a different approach to the sub-brand they choose to create for the driving experience we want to have on the roads. This new sub-brand is called Avenir, which allows the brand to use the name of one of the most impressive concepts they’ve ever brought to the car shows around the world. Recently the first model to be part of the Avenir brand was unveiled with the 2018 lineup of the Buick Enclave. This first model offers the high-end equipment and features that are desired for the comfort and drive we want to have. Now, a new model is being added to make sure the Enclave has some company in the form of the LaCrosse Avenir. As the largest sedan in the Buick model lineup, this makes perfect sense for the brand and it gives an idea of what we’ll see from the highest Buick models. 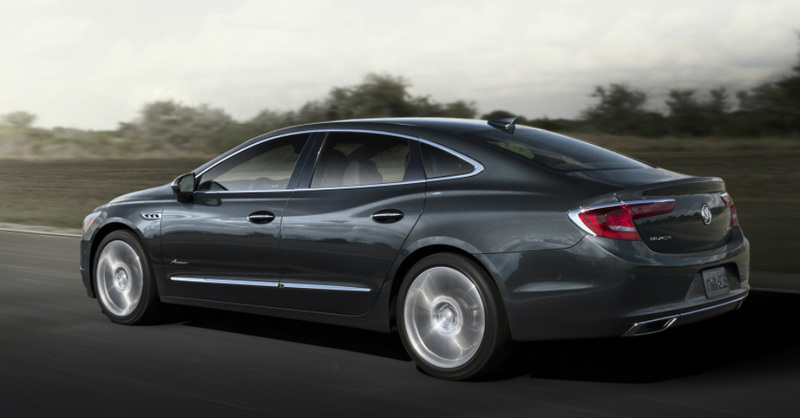 What does the Buick LaCrosse Avenir offer? This car shows up with a look that makes it show off even when next to other LaCrosse models. You’ll see a three-dimensional mesh chrome grill, Avenir script badging on the doors, 19-inch Pearl Nickel wheels, and the option to upgrade to 20-inch Midnight Silver wheels if you so desire. This is an excellent way to draw your eye into what this car has for you to see on the outside so that you can feel sophisticated and elegant before you ever step inside to take a ride in this car. Speaking of the inside of the new LaCrosse Avenir, you’ll see an impressive list of items that are meant to give you more of what you’re looking for when you want to drive. You’ll see a Chestnut dash and door trim, Avenir embroidered headrests in the front seats, Avenir scripted sill plates, a navigation system, a Bose Centerpoint Surround Sound premium audio system and a panoramic sunroof. You’ll also see a host of impressive driver assistance features that will help make this the car you want to drive while giving you the ride that’s smooth and elegant for you on the road. Under the hood of the LaCrosse Avenir, you’ll find one powertrain which starts with a 3.6-liter V6 engine that makes 310 horsepower while being attached to a nine-speed automatic transmission. You can have a twin-clutch AWD system as an option and choose the Dynamic Drive Package to have the benefits of continuously variable dampers and a host of amazing safety items for you to enjoy. This is a car that will be offered starting in the first quarter of 2018 to make sure you can have a drive with the items desired in a car that’s sleek and highly sophisticated.